Our drifts are made from H-13 tool steel from 5/8 inch round stock. Designed to make drifting holes quick work. The overall length is approximately 8 inches with a tapered drift length of approximately 3 inches. You will love using these! Set is discounted from individual prices. Drifts come in 3/16, 1/4, 5/16, 3/8, 7/16 and 1/2 inch sizes. 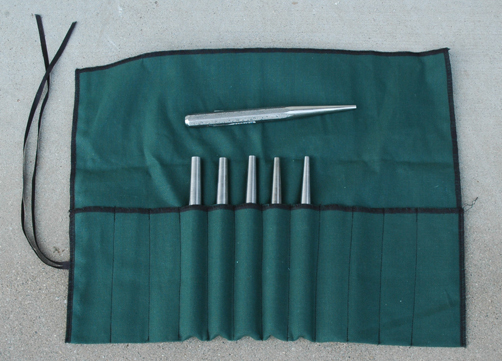 Order our handy tool roll with this set to hold all your tools-NOW and save 20% on the tool roll.